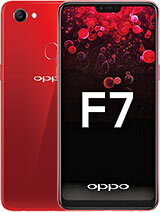 Oppo F7 CPH1819 Official Scatter firmware & Flash Tool. What Is Fix This Firmware? 2# Reset security lock only by flash userdata. 3# Pattern & Pin Lock Remove. How To Fix Those Solution? 1# Download Firmware and flash tool unzip. 3# Select download Scatter File. 4# Now click download buttion on sp flash tool. 5# Connect your phone on pc. 6# Click volume up and down buttion. 7# Now your phone flashing process show. 8# After complite flash remove data cable and click power key. 9# Now your phone alive.